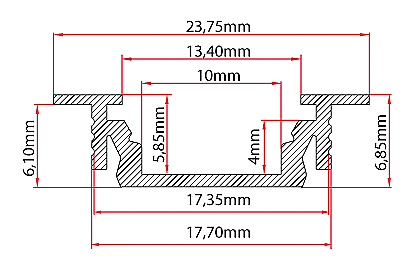 Aluminium LED profiles available on our offer are designed for the assembly of LED strips. 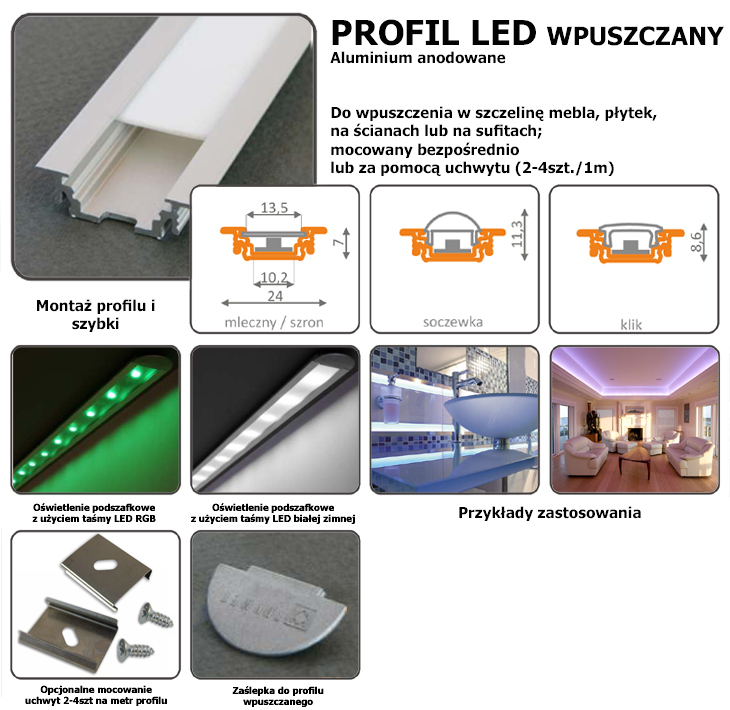 The use of aluminium profile and LED strip enables you to achieve professional lighting look without difficult assembly. Anodized aluminium used to create the profile has ideally smooth surface and colour. Aluminium profiles create protective layer shielding the LED strip from the outside contact that could otherwise damage the LED strip. On our offer you can find vast choice of LED profile diffusers that perform both protective and diffusing functions or focus the light. Thanks to diffusers there are no visible points of light but the lighting surface is smooth and even.